Saturday marks 20 years since Gianni Versace was shot an killed in front of his Miami Beach home. It's been two decades since the shocking killing of renowned fashion designer Gianni Versace outside his Miami Beach home, an event that remains one of the most infamous crimes in South Florida history. Saturday marks the 20th anniversary of the 50-year-old icon's murder, which set off a massive manhunt in South Florida for the serial killer who gunned him down. 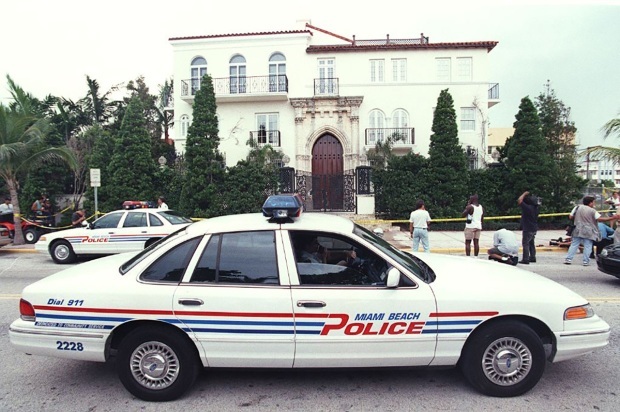 A Miami Beach police car sits in front of the house owned by Italian fashion designer Gianni Versace where he was shot and killed 15 July in Miami Beach, FL. 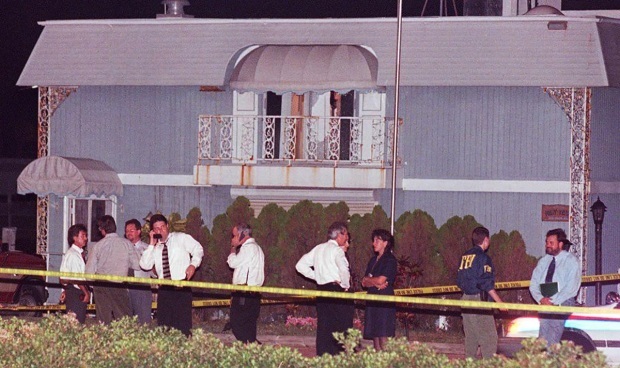 Versace was on the steps of his Ocean Drive mansion the morning of July 15, 1997, when Andrew Cunanan, a 27-year-old man who was a suspect in at least four other murders across the country, shot and killed him. Authorities searched for Cunanan for eight days before he fatally shot himself on a houseboat in Miami. 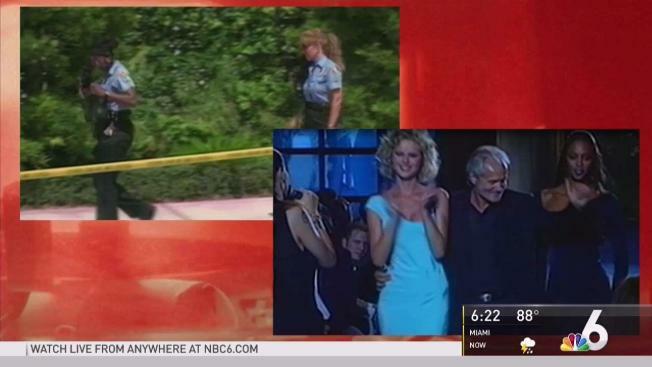 At the time of Versace's death, Cunanan was already the target of of a nationwide manhunt by the FBI. 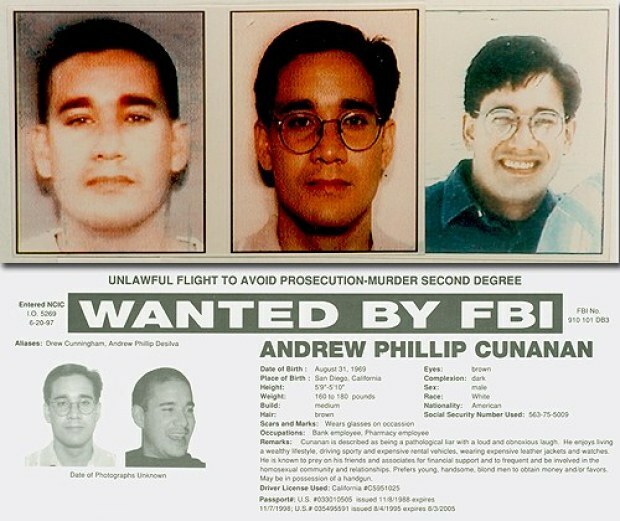 The FBI's wanted poster for Andrew Cunanan. Miami Beach's police chief at the time of the murder, Richard Barreto, said Cunanan had visited a local pawn shop to sell a gold coin he had stolen from one of his victims. "This is an issue we were criticized for. Cunanan when he arrived in Miami Beach had pawned some coins on the north end of the beach, at a pawn shop, and the pawn shops are required to report their transactions every 24 hours to the police department," Barreto said. Miami Beach police and FBI agents surround a houseboat that was stormed by a police SWAT team on a canal in Miami Beach where the body of Andrew Cunanan was found. Cunanan used his real name and the address of the hotel he was staying at at the pawn shop, just days before the Versace murder. "That information was brought to us in paper forms and we had no automated way to analyze that information," Barreto said, adding that if the system was electronic, it may have prevented the tragedy. Several questions remain as far as what Cunanan's motive was for targeting the fashion designer. "What his thought process was before he killed Versace, after he killed Versace was there other people that helped them? We'll never know the answers to questions like those," Barreto said. Versace's mansion is now named Casa Casuarina and serves as a luxury resort and event venue. Every turn has a beautiful sight to see at the “Gianni’s Casa Casuarina”, formerly known as the Versace Mansion. Roxanne Vargas takes us inside and shows us where you can get a delicious bite to eat.